Swedish-Indian soprano, Himani Grundström, completed her Bachelor of Classical Voice at the University Mozarteum Salzburg, Austria in June 2017. After passing her bachelor’s recital with distinction, she was awarded a place in the Mozarteum Master’s program “Opera and Music Theatre”. She most recently performed the role of Rosina in Mozart’s La Finta Semplice for the 2018 summer semester opera production at the Mozarteum. In Autumn 2017, she played the role of Morgana in Handel’s Alcina. Both operas were performed on the Mozarteum opera stage with orchestra and in original language. The orchestra was led by Gernot Sahler and Alexander von Pfeil staged the productions. Her previous engagements include the role of Bastienne in Mozart’s Bastien und Bastienne with the Diabelli Orchestra Salzburg. The production was conducted by Stephan Höllwert and was performed in several cities in Austria and abroad. 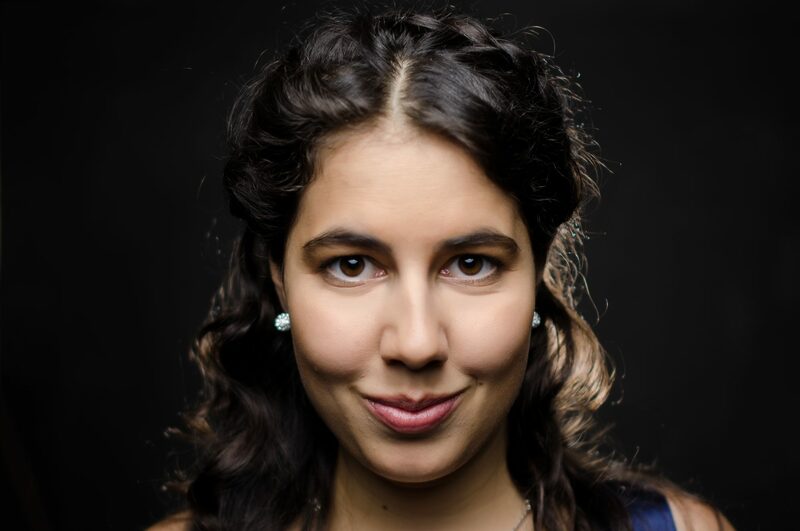 During the course of Mozart Week in Salzburg, Himani Grundström performed in Mendelssohn Bartholdy’s Elias at the Großen Festspielhaus with the Salzburg Camerata conducted by Pablo Heras-Casado. She also sang the first soprano solo in Beethoven’s Chorfantasie with the same orchestra. The concert was conducted by Rudolf Buchbinder from the piano. After completing Pre-College in Classical Voice at Birkagårdens folkhögskola and acting at the University of Stockholm, Himani Grundström began her Bachelor of Opera Singing at the University of Gothenburg. There she was presented with the opportunity to participate in a masterclass with her great role model Barbara Bonney. Thanks to a good connection established during the masterclass, Himani Grundström was awarded the opportunity to go to the Universität Mozarteum as an exchange student. Her year in Salzburg spurred great development and led to her deciding to stay and complete her Bachelor’s degree at the University Mozarteum from which she graduated in June 2017.